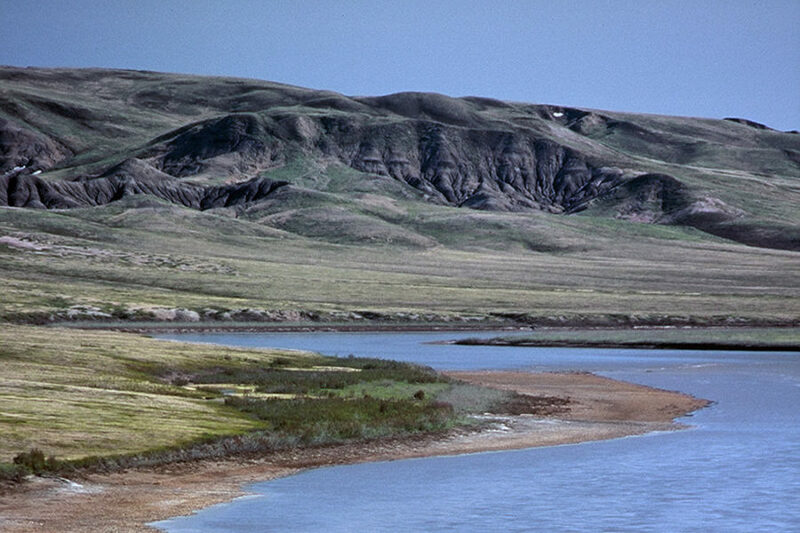 This large but gentle river flows through the tundra as it winds northward to the Arctic coast. In addition to watching for caribou, muskox, wolves and grizzly, we will also see Golden Eagles, Peregrine and Gyrfalcons. 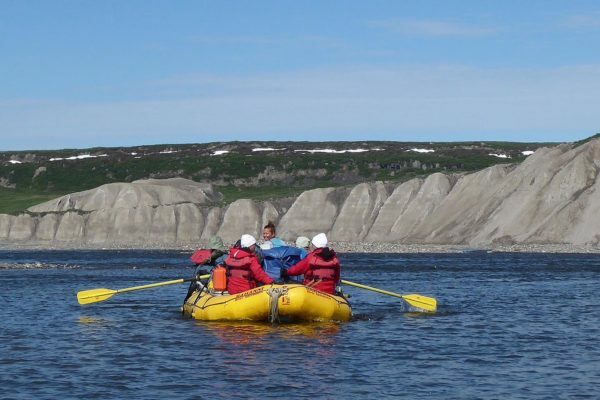 We’ll hike the dramatic Smoking Hills, exploring the vents that issue billowing plumes of natural sulphurous smoke, and scan the Arctic coast for seals and Beluga whales amidst the ice flows. 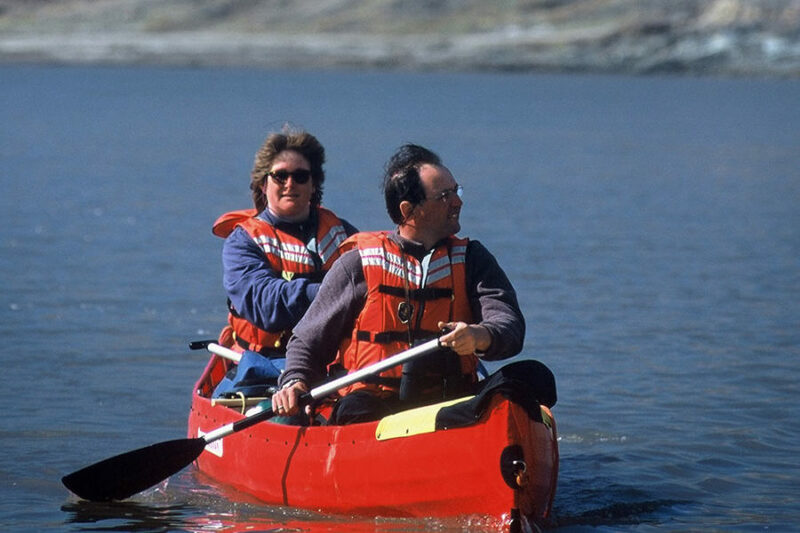 We travel in two-person canoes over 13 river days for a distance of 210 kilometres (130 miles) with an elevation drop of about 105 metres (300 feet). Please note that no stores are open between the meeting time and our morning departure. Plan to err on the side of extra warm clothing. If you wish, the guides can help you decide if anything should be left behind. Class II moving water skills required. Gentle flat water river, but paddlers must have sufficient strength and stamina for paddling 6 – 8 hours in strong headwinds. If unsure of your ability, please call with any questions: 1-800-297-6927 or (867)-668-3180. Inuvik are not included in the trip fee. We will answer last-minute questions and prepare to depart the next day. We will meet in the hotel lobby at 8 a.m. following breakfast (not covered). Via Twin Otter, we will fly east over the unique tundra ecosystem. We may see frost polygons from the air and will begin to get a feel for this diverse and solitary landscape. We will assemble the canoes and prepare our campsite. This spot offers ideal hiking opportunities and a chance to catch a glimpse of the Horton River’s canyons. We embark on the river and the Horton’s broad valley stretches out before us. Trees appear only in the very bottom of the valley and along the incoming tributaries. You are now truly immersed in the barren lands. Our guides will unfold the secrets of viewing the land in traditional ways. Days will be spent exploring the river and the land. Icy veins in the river bank indicate the layer of permafrost that lies underneath the tundra. The treeless tundra offers ideal hiking. There have been active wolf dens here in the past; with some luck they may be occupied again. The river valley is home to many raptors such as the golden eagle and the gyrfalcon. 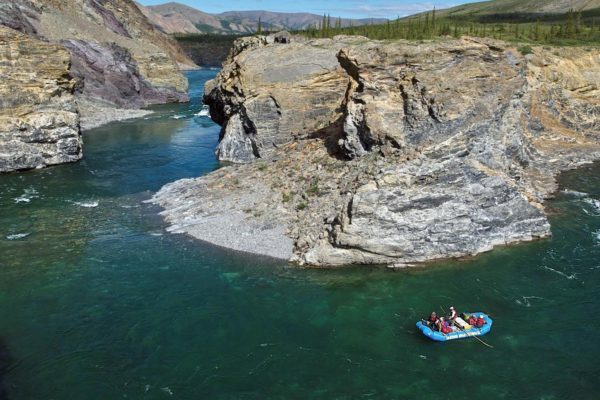 In this section of classic rolling tundra, three of the four days will be spent paddling, while one will be a layover, giving opportunity for hiking and resting up. The Horton now flows north, parallel to Franklin Bay on the Arctic Ocean, which is about 30 km to the east. Often a cool wind blows off the ocean, which may require that you pull out that extra sweater. 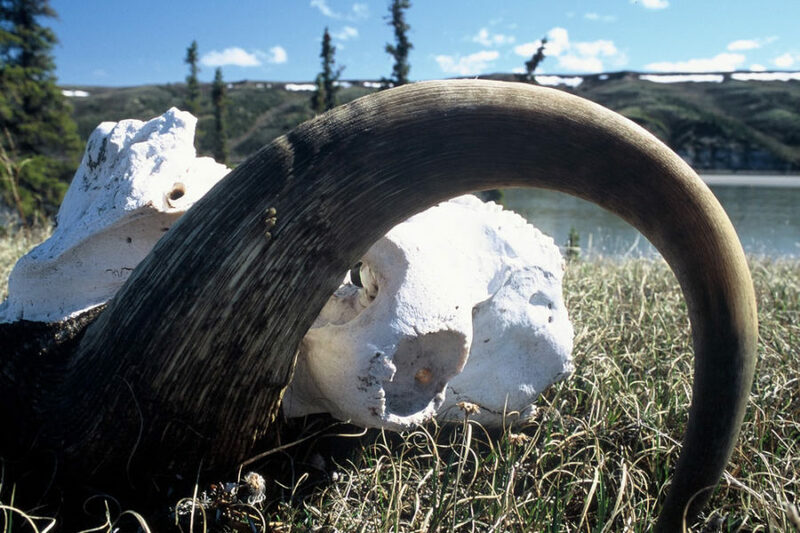 This section of the river provides opportunity to see grizzly bears, wolves, muskoxen and caribou. 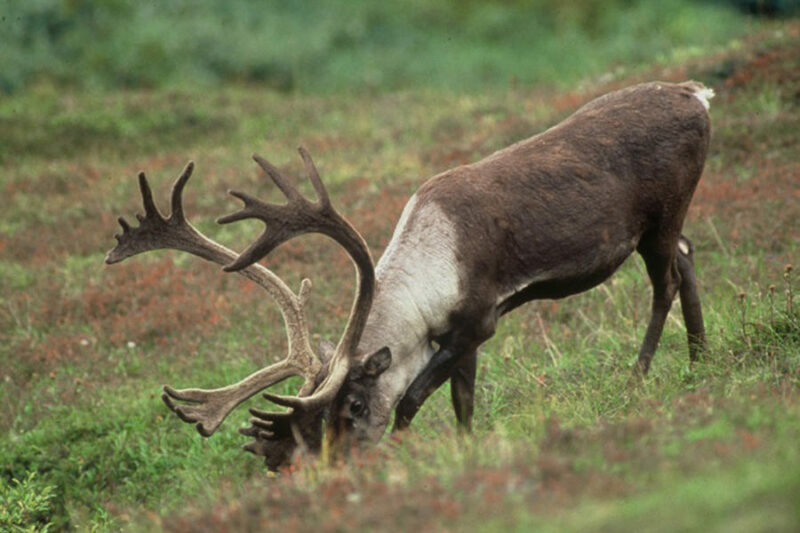 If we are lucky, migrating groups of caribou from the Bluenose Caribou herd can be seen (estimated population in 2013 was 68,000). 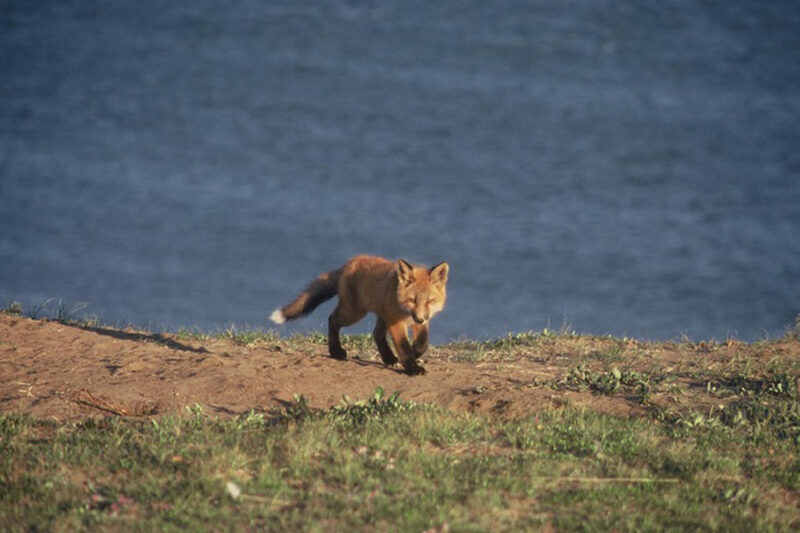 Their annual migratory path takes them northward in the hills between the Horton and Franklin Bay. The Horton River begins to slow in this section, as it nears the coast. The badlands and the geology of the Smoking Hills become evident, with a variety of colours and textures. These hills make for intriguing hikes. Some large meanders in the river are navigated during today’s paddle, an indication that the Horton is an old river. We will likely find ourselves camped at the bottom of a large meander which puts us within a 3 km hike of the ocean. Day 12 ARCTIC OCEAN VIEW! 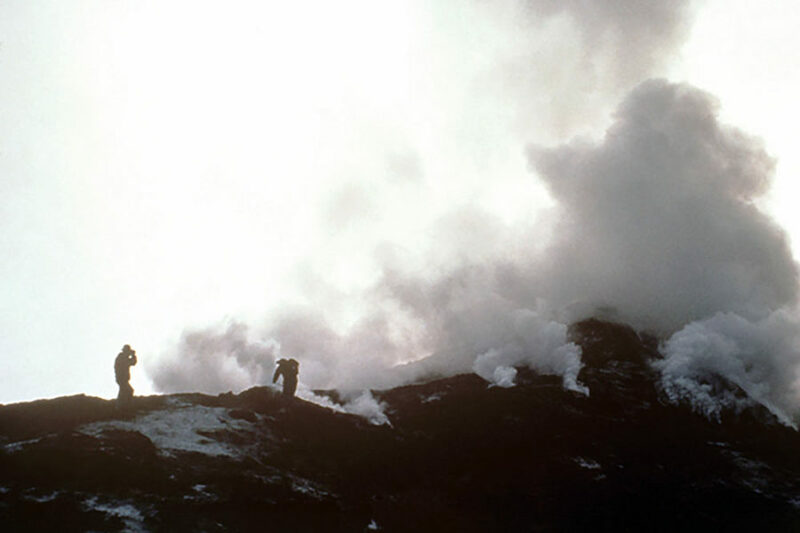 This day we will hike from the river overland in search of active vents in the Smoking Hills. Also, with some luck we may be able to see Beluga whales in Franklin Bay. It is possible that Franklin Bay may be covered in pack ice even in early July. 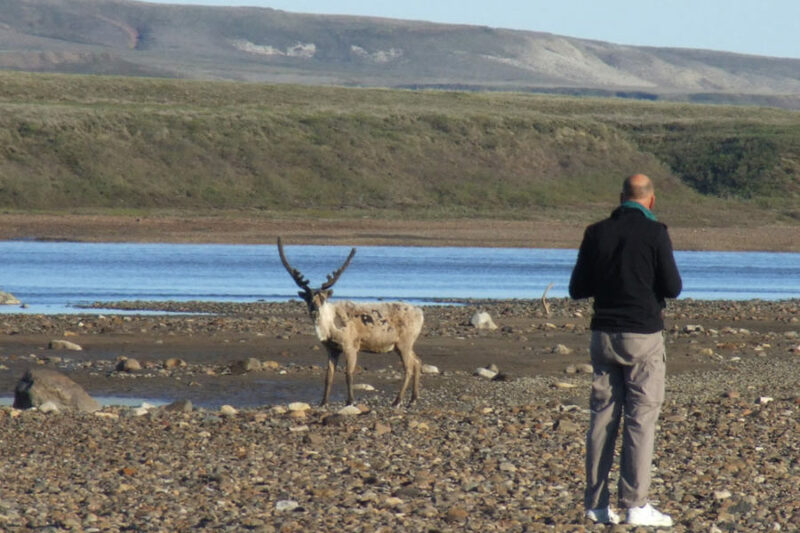 As always, we won’t stop looking for the caribou on their migration north; they could be anywhere! The aircraft will pick us up and return us to Inuvik. There may be time to explore the highlights of town after a shower. 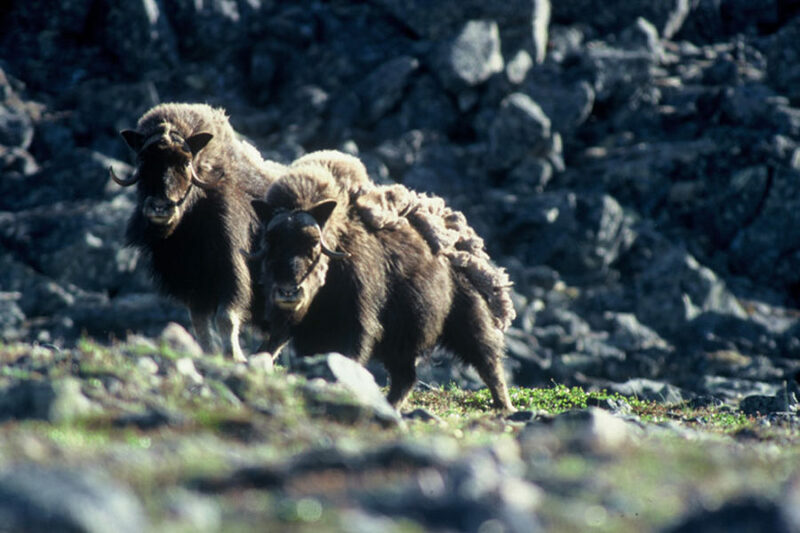 We will meet for a farewell supper (not included) and reminisce of tundra memories. 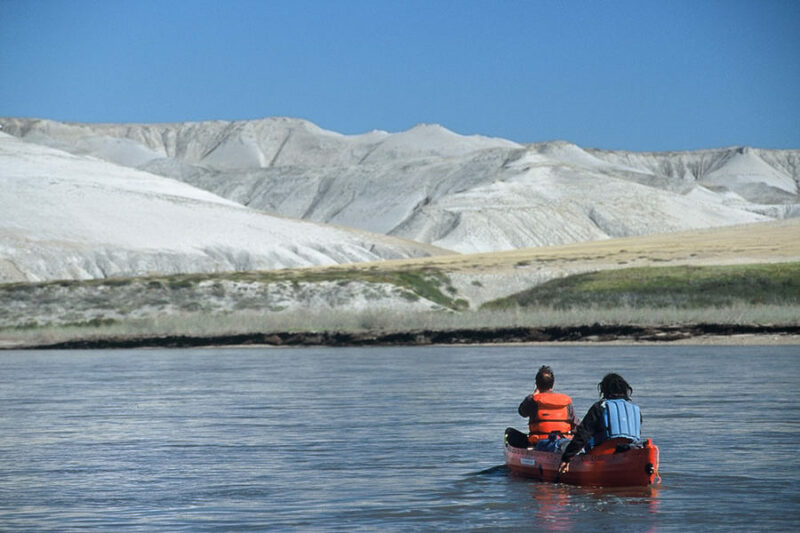 Please note: The above is a tentative itinerary and has been designed with much though to capitalize on the most scenic and exciting parts of the river, while making time on other sections. Your guide will adjust the schedule to make the best use of river and weather conditions. Meals and pre- and post-trip accommodation in Inuvik are your responsibility – the cost is not included in the trip fee. We have attached a list of Inuvik hotels. Breakfast, Lunch, Dinner and Snacks are included from the pre-trip meeting until the final river meal. Any other meals off the river are your responsibility. The combination of wild, vast river and human gold-rush history and First Nations presence is hard to beat. The Yukon River was much more scenic then we had expected. We will be showing our photos and recommending the trip to others.